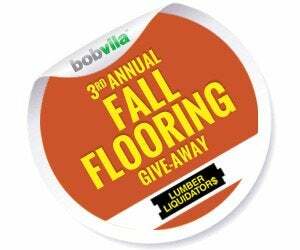 Enter Bob Vila’s 3rd Annual Fall Flooring Give-Away Today! Enter for your chance to win a $5000 flooring makeover from Lumber Liquidators! Fall is the season of change. Leaves turn color, the temperature drops, and we slowly start retreating indoors for winter. This autumn, bring the spirit of change inside of your home by installing new hardwood flooring. We’ve partnered with Lumber Liquidators to give one lucky reader a $5,000 flooring makeover. Enter the 3rd Annual Fall Flooring Give-Away today for the chance to transform your house from the ground up! Today and every day this month (starting at 12:00 p.m. EST on August 31, 2016 through 11:59 a.m. EST September 30, 2016), enter for the chance to win a $5,000 gift card for Lumber Liquidators flooring. See Official Rules below. Bellawood Cumaru Solid Hardwood Flooring at Lumber Liquidators. The winner of this month’s giveaway will receive $5,000 of premium hardwood flooring, courtesy of Lumber Liquidators. Now a household name, the company was founded in 1993 by building contractor, Tom Sullivan. Since then, it has become the premier retailer for flooring, offering low prices on a wide variety of flooring types, including solid and engineered hardwood, bamboo, cork, and resilient vinyl flooring. Since Lumber Liquidators is the largest manufacturer of flooring in North America, they have an extensive selection of unfinished and prefinished hardwood flooring—you’ll find everything you need in one place. The durable engineered hardwood and resilient vinyl options at Lumber Liquidators can dodge the harmful effects of changing temperatures, humidity, and routine wear and tear. Customize your look with a variety of finishes, and don’t forget their clickable flooring options with easy assembly! Enter Bob Vila’s Fall Flooring Give-Away today and everyday to increase your odds of winning a $5,000 flooring makeover from Lumber Liquidators. To learn more about Lumber Liquidators and their variety of flooring options, click here. 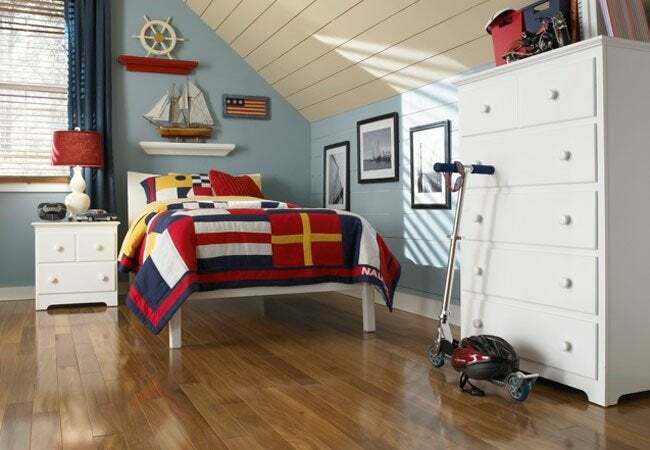 Bob Vila’s “3rd Annual $5,000 Fall Flooring Give-Away” is open only to permanent legal U.S. residents of the 48 contiguous states and the District of Columbia. Void in all other geographic locations. No purchase necessary. Void where prohibited. Contest Period for Prize runs from 12:00 p.m. (EST) Wednesday, August 31st, 2016 through 11:59 a.m. (EST) Friday September 30th, 2016. One entry per household per day on BobVila.com. Alternative means of entry for Drawing is available by faxing your name and address to 508-437-8486 during the applicable Entry Period. Odds of winning depend on the number of eligible entries received. By entering, all entrants agree to the Official Rules.